From there you can download the album in a lossless format (e.g. 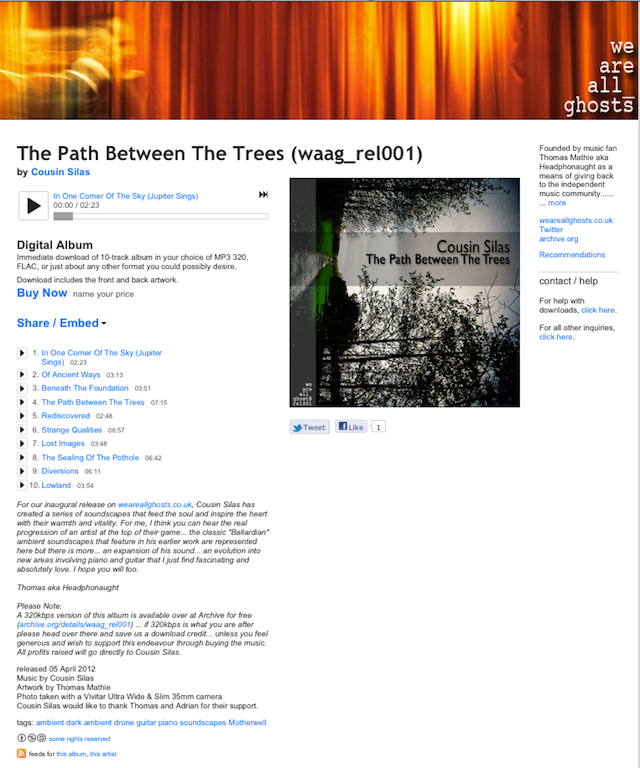 .wav or FLAC) and you can stream the album in full before you download. It also allows me to embed the player... as I have below. If you haven't already downloaded the album or want it in FLAC, please check out the player below. I'm a big fan of Bandcamp. The ability to embed/share as well as the many file formats makes it a great option.